InternetThe world laughs with you: how internet users around the globe write "haha", "hehe" and "lol"
Laughter is one of the few truly universal human traits. Studies have shown that, whether in the busiest cities or remotest tribes on our planet, laugher is recognized as an expression of joy and humor. It turns out, this is as true for online communication as it is IRL. With 3 billion internet users worldwide, more people than ever before are using writing to communicate. Though slang is constantly evolving, getting across human emotion online is now something everyone has to worry about, and this new necessity has provoked some extremely creative uses of language. 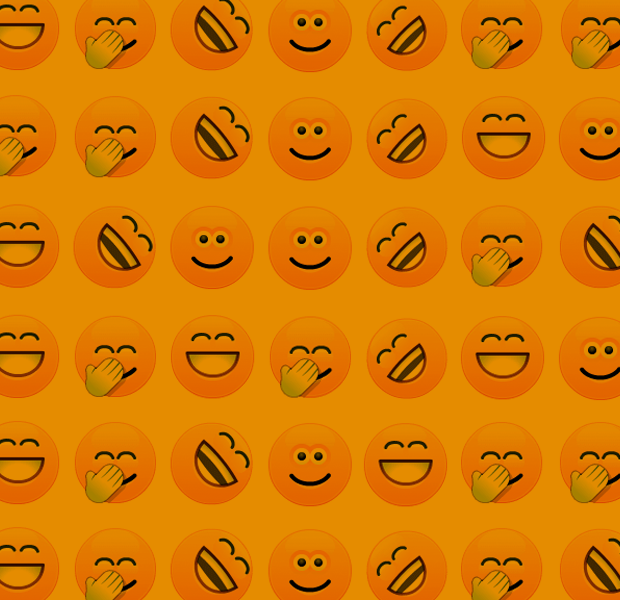 We wondered how this uniquely human trait was translated into text by internet denizens of all tongues, so we reached out to friends of Hopes&Fears around the globe to learn how they giggle, cackle and chortle over the web. Additional reporting by Ana Bezanilla. We use "haha", "kkk" pronounced "kekeke", and "rs" short for risos which means "laughs". They can all be used in all kinds of fun situations. On the early internet, Brazilian Portuguese speakers would use "rsrsrsrsrs", it’s like the outdated "lololol". It's a more of a literal translation: it means risos, which translates to "laughs". However, it can also be used in an ironic way or in a shady passive aggressive way, usually by younger people. "Kk" is kind of the equivalent of "ha" in English, which we know can be used to laugh at something that isn't actually funny. A lot of "ks", like, "kkkkkkk", is outdated, but people use it in a silly manner or you catch older aunts and uncles posting cat and puppy pictures with lots of "kkkkkkkkks". "Ashuashu," or something along the lines of "AshuiASUIauisiashiuSUIhiaushiuASHIUashuiHSUIhaushA" is an overflowing laugh contained within the four letters of "a" and "s" and "h" and "u". When you are typing fast it can spill over into the surrounding letters, but it originates with these four letters. People started to develop their own personalized laughs using those four letters or combining them with a surrounding letter. "Gegegege" is used after saying something with a double meaning or something sexualized. You wouldn't pronounce these "laughs" because they are for written communication. No one says them out loud. Russians use "lol" or "хахаха" (pronounced "hahaha"). The "х" sound is more throaty than the English "h" sound, like in the Hebrew word "challah". Cyrillic and English characters are the same for "ха". "Lol" has no acronym as it has become universal, and both are used interchangeably for anything funny. Russian has its own kind of version of ROFL: "ржунемагу" ("rzhunemagu"), a corruption of "ржу, не могу"—literally, "laughing, I just can't" (or, more literally, "neighing [like a horse], I just can't"). It’s a pretty universal language. For "haha" and "lol" in Greece we would use the term "xaxaxa". The "x" in Greek is an "h" sound. Because Greek has a different alphabet that sometimes isn't available online (especially in the days of chat rooms, etc.) people developed a thing called "Greeklish". The main idea is that you use Latin characters that look like the Greek ones. Mostly they sound the same, but not always. So χ, which in Greek is pronounced like an "h" but looks like an "x", brings us to your actual question. A greek would laugh like this online: "xaxaxaxa". Depending on how funny something is you could use capital letters: "XAXAXA". In both cases, it is pronounced the same way "hahaha" is pronounced in English. I think that "lol" is used only by teenagers! People find it too American pop culture-ish. It's the letter for "k", like a hard "k" sound. The letter used is “ㅋㅋㅋ”. It's more like "hehehehe", between "heh" and "huh". In Korean it’s "ㅎㅎㅎㅎㅎㅎㅎㅎㅎㅎ", which makes an "h" sound, for "haha". Or you can do a more expressive belly laugh, "흐흐흐흐흐흐" or Santa’s "호호호호호!" (Ho ho ho!). A cackle is "ㅋㅋㅋㅋㅋㅋㅋㅋㅋ" ("k" sound). Korean often uses "ㅋㅋㅋ", which are not full syllables but are the consonant "kh" ("k" with aspiration). We use the same laugh sometimes, think of the Duck Hunt dog, like it's a mischievous snicker or something. Korean speakers would write this out as "kkkkk" on online games, and English speakers borrowed this as "kekeke". Usually "haha", sometimes "hehe", and very rarely "híhí". The "e" is like in "bet", "í" is like in "machine". "Híhí" is more like a giggle. "Hehe" can be sarcastic. "Haha" and "lol" are the standards here, but "hihihi" (pronounced heeheehee) is like a "girly" laugh or giggle. And "höhö" is like a… kind of sarcastic chuckle. Say "uhh" but with an "h" in front, "huhhhuhh". Not to be confused with "huh", which usually has an inflection and some nasal tones in English. My favorite thing in Japanese is when you type "w", or "www" if you're really "LMAO"-ing. People also use the character 笑 warai, which means smile or laugh, but I think it's cuter when they just take the "w" from warai—and it's more natural for me as a non-native speaker and typer since it’s similar to "lol". Lol is written as 笑. Warai. Something like "ROTFL" (do people still write this?) would be 爆笑 pronounced "bakusho". Those are used alone, but in a sentence people will write something like this: "(insert funny sentence) www" because the character 笑 is spelled "warai", so they shorten it to "w". The amount of "w"s you use indicates how funny it is. The "www" thing is really common now. It's like in Korean, they use "kkkkk" to write what laughing sounds like to them. Japanese uses ハハ for "haha" sometimes but as that's also the word for mother (written 母). You'll more often see words based on 笑う warau, "to laugh". For example, people will end a sentence with 笑々 warawara (where the second character means that you repeat the first one) or 笑ッ (where the second character usually doubles the following consonant, but according to Wikipedia would be a glottal stop here). "哈哈哈" is hahaha. "呵呵呵" is hehehe. The English "haha" is also used. 哈 is the first tone. So keep your voice high and it is pronounced "ha". 呵 is also the first tone but it’s pronounced "he". But it's the hard "e" sound so more like "uh". I think there’s also "嘻嘻" which is giggling, but I’m not sure. Chinese came up with the symbol 哈 hā, where the 口 part means "sounds like" and 合 hé means "join" (but just contributes the sound to the character). You'll see people say 哈哈 or use multiples. If you type "haha" into Sogou (the most popular Chinese input system) it autofills to O(∩_∩)O哈哈. Though it was made up for the sound of laughter you also see it used in new borrowings with similar sounds, like 哈密瓜 hāmìguā, "honeydew" ("ha"+honey+melon). Taiwan doesn't usually romanize Chinese in English letters (the glosses above are in pinyin which is used in China), they have their own alphabet called zhuyin or informally bopomofo (for the first four letters) that is based on Chinese characters and better fits their phonology. The aspirated "k" sound is ㄎ, and you'll see people write ㄎㄎㄎ the way Korean does. You have common laughter that i think many English speakers know ("jajaja"), but always pronounce with a "j" sound, when really it is pronounced the same as "hahaha" in English, because the "j" in Spanish creates an "h" sound. You also have "jejeje" which works the same as “hehehe” in English and, of course, caps lock works the same in Spanish. The letter Chet (ח). You just repeat the letter so it reads like "chachacha" ("חחחחח", pronounced with the guttural Hebrew "ch" sound). You could use the letter "hey" (ה), which is transliterated as "heh" sometimes. In Thailand it’s "5555555" because we pronounce "5" like "ha". Thai sometimes uses "555" because the number 5 is pronounced hâː. A lot of Asian languages use numbers as shortcuts for similar-sounding words, for example Chinese uses "881", bābāyī, because it sounds like "buh-bye". There are two different versions people have used. The old version is "هاهاه" ("hahah") and the new trend is "خخخخخخخ" ("kh kh kh kh"). The newer version is pronounced "khekh," I think.